As most of you will know, the devices we know as ‘Android devices’ are referring to the operating system running on a device only. The device itself never changes; the hardware in the device cannot change unless you can get work done to the device. With software it’s a different story. One of the main attractions with owning a smartphone – – and often one of the only changes we’ll see when owning a smartphone — is the software updates. These software updates, firmware updates or ROM updates can come in many forms. You can get a notification for an official over the air update that installs the latest firmware on your device when they become available. Otherwise you can connect the Samsung Galaxy J to a computer and update either with Samsung Kies or the Odin flashing tool. Those options make up for the official updates, but sometimes your phone carrier network and OEM can be too slow for your liking. For all those times you want to check out which custom ROMs are available to install on your device and update to an unofficial ROM. 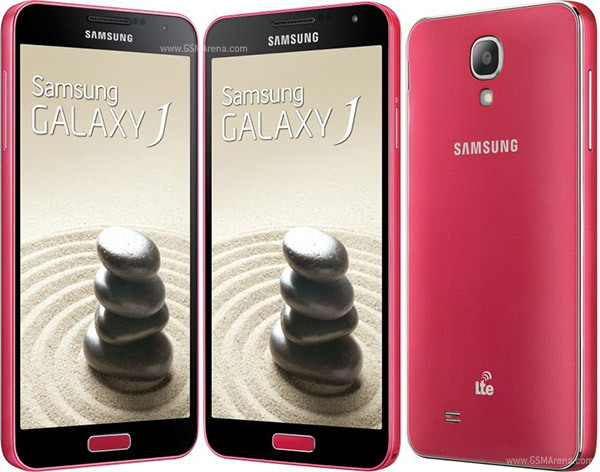 You’ll often find third-party developer making new ROMs that allow you to run a newer software version on your smartphone; thus allowing you to update Samsung Galaxy J both officially and unofficially. Point to the Settings > About Device and check your devices model number. Head to Sam Mobile or Samsung-Updates and download the firmware for your model number. Download that firmware to the desktop of your Windows computer. Right-click over that file and choose the ‘extract here’ option from the menu. Download the Odin flashing tool for your Windows computer. Right-click over the file and select the ‘extract here’ option. Double-click and run the Odin flashing tool. Learn how to enter download mode on Samsung Galaxy J  smartphone. Click the PDA/AP button in Odin and browse the desktop for your firmware file. Click the Start button without adjusting Odin’s default settings. After some minutes your Samsung Galaxy J will be updated with the new official software update. Download the custom ROM you want to install directly to the computer’s desktop. Connect the Samsung Galaxy J to the computer with the USB cable. Transfer that custom ROM file still zipped to the internal storage SD card. Unplug the Galaxy J from the computer so the USB cable is no longer connected. Install a custom recovery on the Samsung galaxy J smartphone. Reboot the Samsung Galaxy J to recovery mode . Select the ‘Install’ option from the recovery mode menu. Browse the SD card for that custom ROM. Now just confirm that you definitely do want to install that ROM when it tells you on the display. Wait until that ROM is loaded before choosing the reboot system option from the main recovery menu.